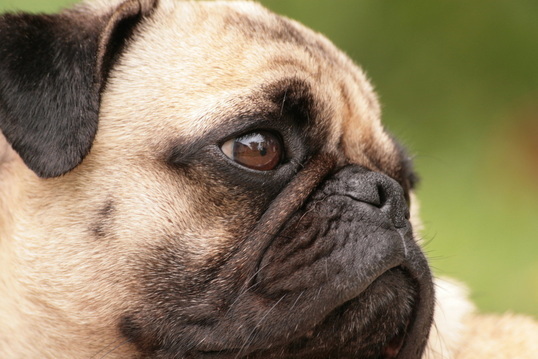 In February 2009, our six-year-old pug Sierra Mist was diagnosed with an FCE, Fibro-Cartilaginous Emboli. With FCE a small amount of intervertebral disk material from between the bones of the spine (vertebrae) detaches spontaneously and lodges in a nearby blood vessel. This blocks the blood supply to a section of spinal cord and the associated nerves. The resulting inflammation and nerve damage leads to weakness, incoordination or, often sudden paralysis. Sierra’s right hind leg was acutely paralyzed and she would drag her right hind leg. Sierra was unable to move her right hind leg by herself and had difficulty maintaining her balance. Our regular Vet in Los Alto, CA referred us to UC Davis Veterinary Medical Teaching Hospital in Davis, CA. to a Neurologist. The Neurologist indicated with aggressive rehabilitation, Sierra could approximately achieve 80% recovery of the use of her right hind leg. After two weeks of restricted exercise and play, we were given a few facilities to choose from in Northern California. For Sierra’s first six months of rehab, Sierra spent three days a week having physical therapy and home exercises for her to gain strength in her hind legs. Although it took many hours over that year, Sierra made a remarkable recovery. She had regained at least 95% use of her right leg and her gait had normalized. Sierra’s experience inspired me to expand my rehab training as a Physical Therapist to receive my Certificate in Canine Rehabilitation. 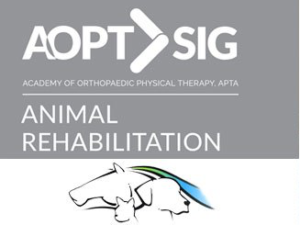 After 40 years as a human Physical Therapist, the only difference treating animals is their positive reaction to someone helping them, love in their eyes, purring and wagging of their tails. 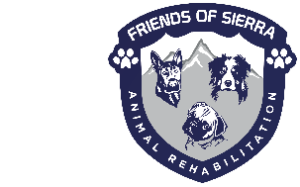 Sierra’s experience made me a believer in the power of physical therapy for animals. 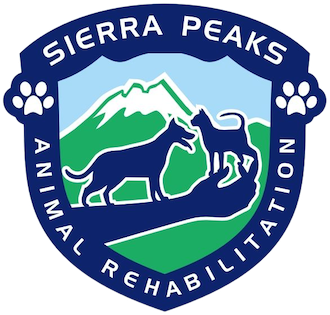 Sierra Peaks Animal Rehab will always be the legacy for Sierra Mist. In 2012 & 2013, she was diagnosed with two different types of cancer. In July 2013, she lost the battle, but throughout the process, her sprit was never broken. This company is dedicated to all the companion animals to be given a chance to live a long, happy and meaningful life.